Have you always wanted to control your very own Darth Vader and conquer the galaxy? Well, now you can with this cool Inflatable RC Darth Vader. This fun and inflatable Vader will have the rebels running for cover, with his menacing red lightsabre and trademark helmet. The sith lord can be driven in any direction and can do 360 degrees turns! It also has 8 original sound effects just to make him more menacing. 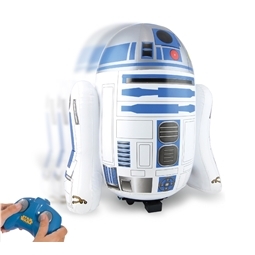 The Inflatable RC Darth Vader can be driven anywhere indoors and out, just simply inflate and clip him into the drive unit and you're Inflatable sith lord is ready to conquer the Galaxy! 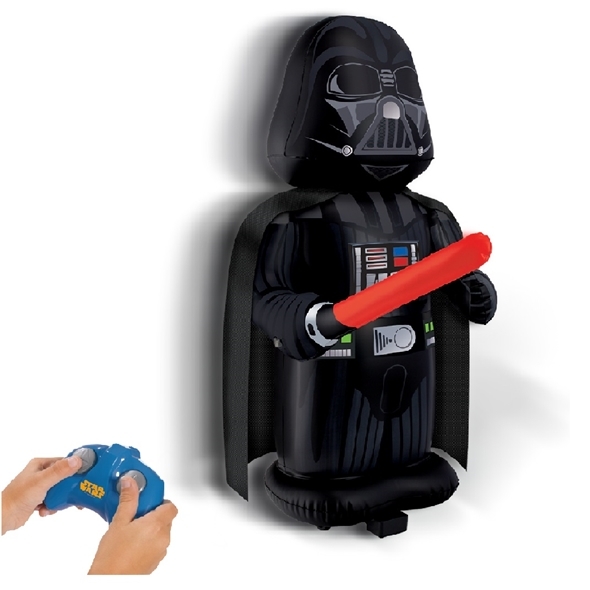 You can now take control of the Dark Lord of the Sith and conquer the galaxy, with this cool Inflatable ​RC Darth Vader. All you simply have to do it is inflate him and clip him to the drive unit and you're good to go! 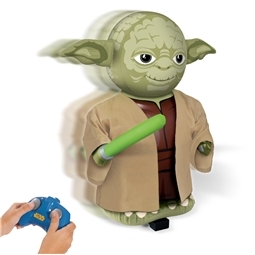 The Dark Lord of the Sith can move in any direction, do 360 degress turns and has 8 menacing sound effects! You can even play with him outdoors! Isn't this the greastest toy ever! So what are you waiting for? Grab yours now! cracking service guys! bought this for my sons birthday and it arrived the next day and he blo ody loves it! i want 1 for myself now but might go for the yoda.. can I have discount for buying 2?